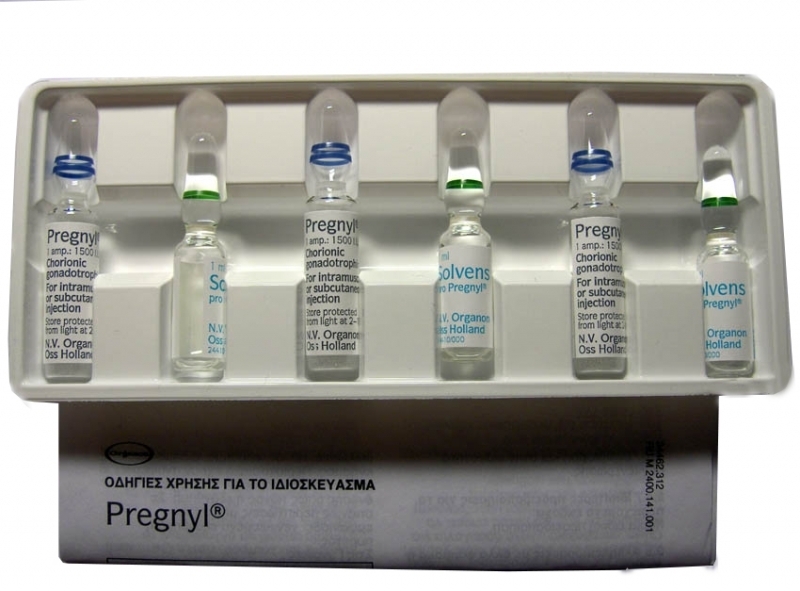 Pregnil has a stimulating effect on steroidogenesis in the gonads, similar to the effect of luteinizing hormone. In men, it stimulates the production of testosterone, and in women - the production of estrogen and progesterone after ovulation. HCG stimulates the production of testosterone , it does not affect the "hypothalamus - pituitary - testes ," and does not lead to its recovery . After a more or less prolonged steroid the hypothalamus and pituitary are still in a low state and when taking HCG, because he suppresses endogenous testosterone production of LH ( luteinizing hormone ) . And once the reception ends HCG, the athlete still has to go through the recovery phase. Receiving HCG only postpones this phase. Therefore, experienced athletes often take Clenbuterol immediately after a course of HCG, or start a new steroid course. Some get HCG for two - three weeks of rest steroids..